Our second episode is out now, get it! In just two weeks, we are already closing in on 50 downloads. That may not sound like a lot to you, but for me that is already a small miracle. Life is good, thank you for your support! We have a lot of distribution channels that are just opening up - Google Play, and Apple Podcasts, just started distributing us, so those numbers should start coming in soon, and I am excited about that. For the moment, I am producing an episode every other week, but if the numbers get big enough I could certainly be convinced to go weekly. Time will tell! If you have any suggestions, be sure to visit us at podcast.chillfiltr.com. So if you have been following me at all recently, my new music blog is taking all of my spare time right now. It's a labor of love, and things are just perfect right now. For the first time in my life I feel like I am making a very real, if small for now, difference in the lives of other musicians. And that makes me feel good. It's really nice to think that I might help someone connect with a song they wouldn't have heard otherwise, and help an artist connect with a fan they might not have found in some other way. I started out just wanting to do playlists on Spotify, but I quickly realized that I really like writing about the songs I get. it occurred to me yesterday that as a poet, a decidedly non-academic one at that, it makes a lot of sense that I enjoy writing song reviews. The way I write them, it feels a bit like poetry, because music description is fraught with opportunity for metaphor. It just feels natural for me. So I would like to announce that after 28 days of being a blogger for SubmitHub, I have been accepted into their "Really Good Bloggers" program (#RGB), which just means I get a star next to my name, I get to feel cool about it, and I make slightly more money. Perhaps the first recognition I have ever had as a writer. They just put lil star next to your name. And I get to do things like this: write a review that gets top listing, and help my artist climb the chart a bit. It's not much, but it's something. Top 3 listing of 8 blogs. If you are on the charts when your piece posts, I will vote for you. And the best part is the thanks I get for the blogs I do. I feel more appreciated right now than I ever thought possible. I'll be hanging up my blogging gloves for a little while. I'll put them right next to the Happy Holidays sign. It's been a big year. It looks like we will be doing something new in January, I'm just not sure which it will be. Change is good, and the Axel family has so much to be grateful for. I have a beautiful and healthy family and we will all spend a lot of time together this month. We have some friends and family coming to visit and I am looking forward to not being married to my cell phone like I was in years past. 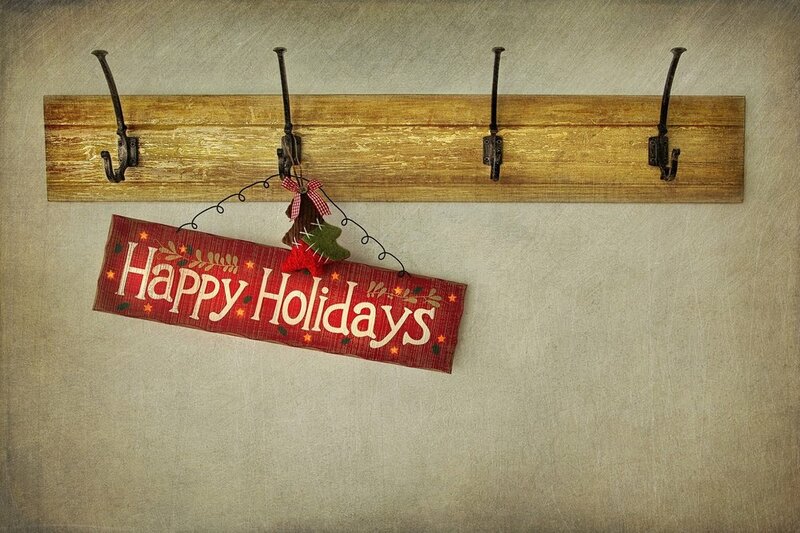 I wish everyone a safe, happy and plentiful holiday this year.